A few months back, I took the time to introduce my readers to an innovative fashion brand for the fashionable sports enthusiast — Slater Zorn. There is no reason you can’t look your best while enjoying the thrill of a sporting event. Slater Zorn offers a wide variety of color options so that you have no problem matching your look with that of your given team’s colors. There is also a wide variety of items to shop from, for both men (shorts options also available) & women (dress options also available) — from shirts/tops to sweaters to accessories. Speaking of accessories, Slater Zorn’s fashionable women clients will now have even more jewelry options to choose from! 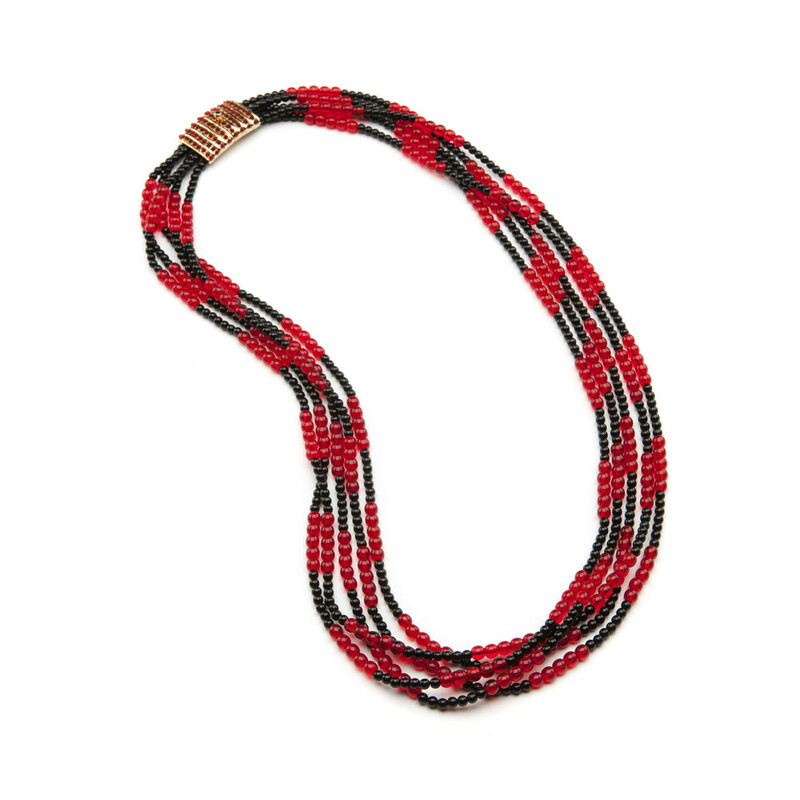 SZ already offers some great pieces from their collaboration with Pono by Joan Goodman, a brand best known for regular feature on hit TV shows, The Good Wife, Girls, and more. 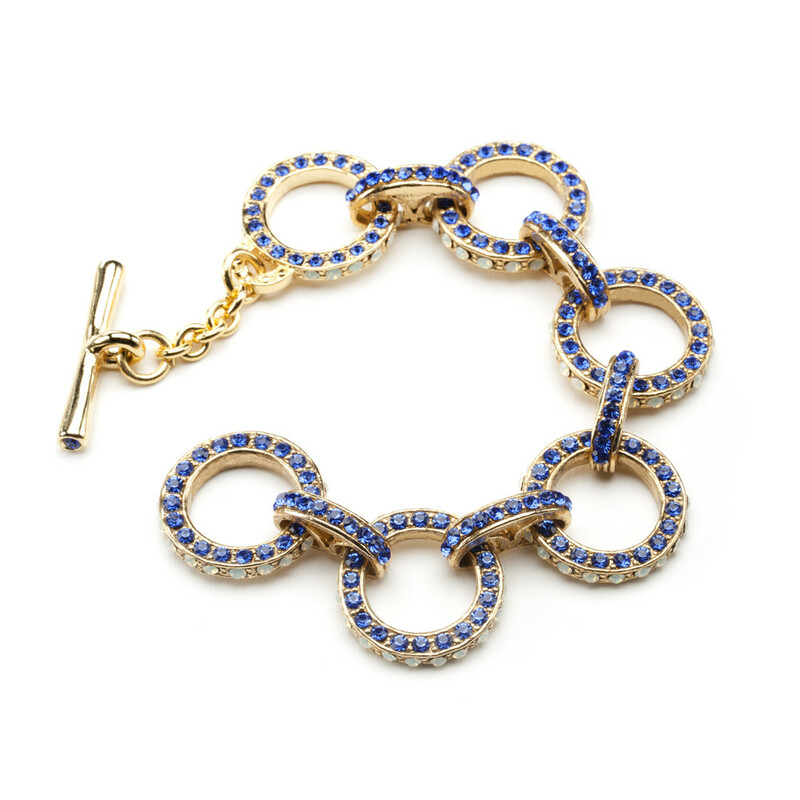 But now, SZ is teaming up with the 120-year old costume jewelry house, Ciner. 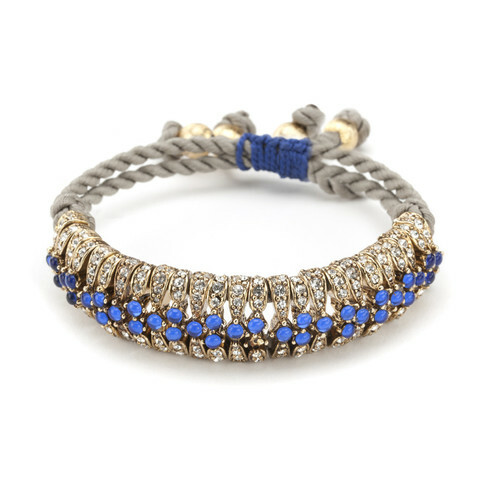 So rest assure, there are plenty of great fashionable jewelry options available to top off your game day look! The collaboration is entitled “In Team with Ciner.” This stadium style brand encompasses 30 pieces for the launch of its capsule collection. Each piece is beautifully crafted and all made right in NY! This exclusive collection became available on November 1st so feel free to shop around now! 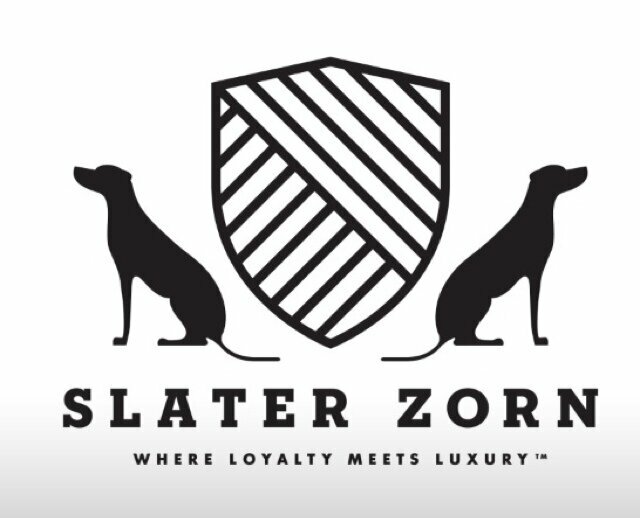 Slater Zorn is all about Loyalty meeting Luxury so this collaboration can definitely be described as Loyalty meeting Luxury meeting Heritage since Ciner has been in the jewelry business for 120 years!! 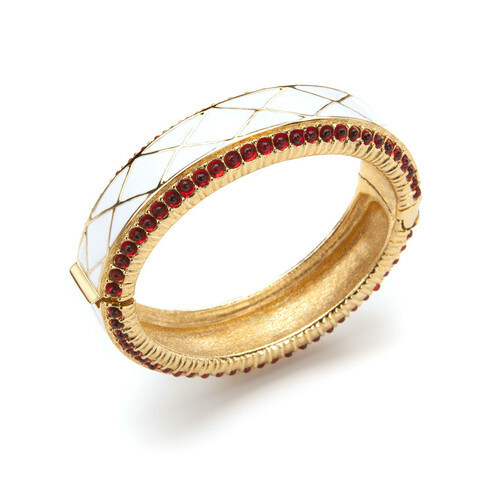 These cuffs are gold-plated hinged bangles with hand-painted enamel & glass beads. The necklace is made of Bohemian Czech glass beads. Capsule item prices range from $175 – $200. These are some amazing items and perfect timing for the Superbowl, the start of college basketball, or even local winter sports league your children might play in! Enjoy! Pono by Joan Goodman – Sample Sale is this Week!! Happy Birthday to Pono by Joan Goodman!! Get Ready! The PONO Annual Holiday Sample Sale is Here! This entry was posted in Featured Designers/Brands and tagged Ciner, Elizabeth Taylor, Fashion, Good Wife, PONO, Queen Sofía of Spain, Slater Zorn. Bookmark the permalink. ← Top 10 Go-To’s for NYE — Under $50!! Lovely jewelry. I like them all. The Friendship Bracelet is way too beautiful. 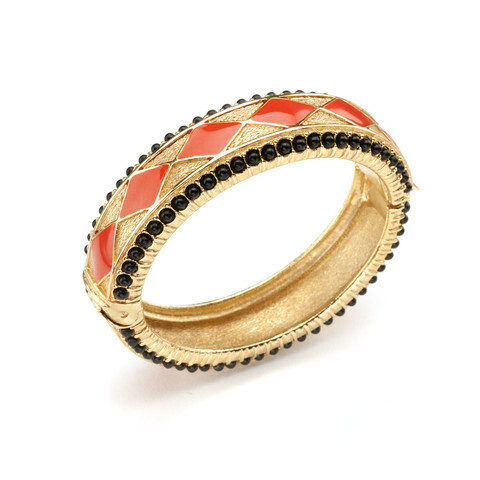 Yes, all of Slater Zorn’s jewelry is just great. And they would work perfectly whether you are rooting for a team or heck, just wanting to wear it regularly! Please keep in touch as I’m sure I will be posting about Slater Zorn in the future!! Such an amazing accessories . I like all your jewelry very much for more details click here fashion designing courses in dubai .